+ + RomanReignsEmpire + + || Thank you Roman !!!! Im sitting here, fighting back my Tears and trying to find Words. and announced that u have leave the WWE, for now. To fight your toughest Opponent. Leukemia !!! Two days ago u made your Statement and i still cant believe it. My Heart is Hurting, knowing what you and your Family have to go through ! My eyes are dry from crying so much and i try to sort out my Emotions. and positive all at the same Time. I just can try to grasp and imagine how hard this must be for you and your Family. Joe, i just want u to know. 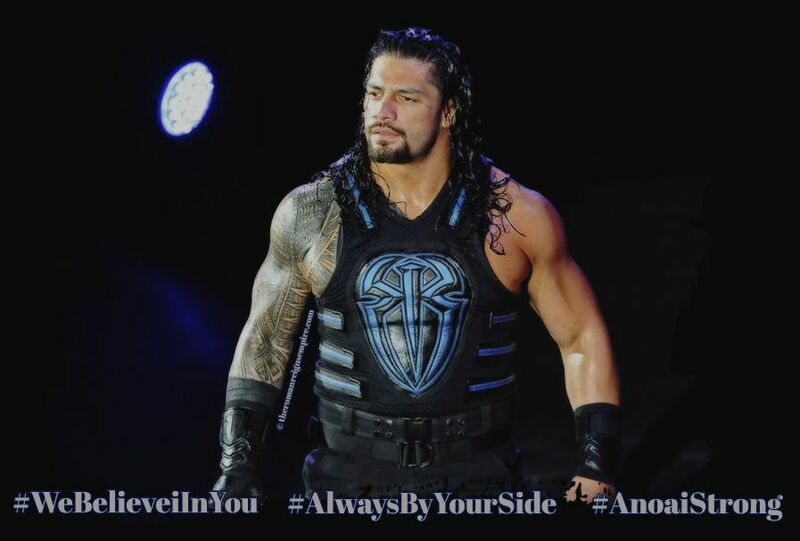 We, the RomanEmpire will always be with you and your Family. Every Step of the Way ! We know u can do this, you will be back stronger then ever. ! We Believe in You ! You can and You Will !!! You mean so much to me, you made me a better Person. Cause of you i overcame and conquer my Fears !!! I fight every Day, and im strong. Im striving to be a better version of myself every single Day. You motivate and inspire so many ! Your Speach was so sad, but yet so inspiring and powerfull. You´ll swing and jump for the fences Big Dog ! Go get em. I had the honour to meet You and i will cherish this Moment forever. And im sure, one Day we´ll meet again. And i will give u the biggest Hug ever ! Promised !